The upcoming issue of Houbunsha’s Manga Time Kirara forward magazine will announce that **Sou Hamayumiba’s **manga Hanayamata will be adapted into a television anime serie. None other then Studio Madhouse will produce the project. No estimate has been given as to when to expect the series to air on Japanese TV. 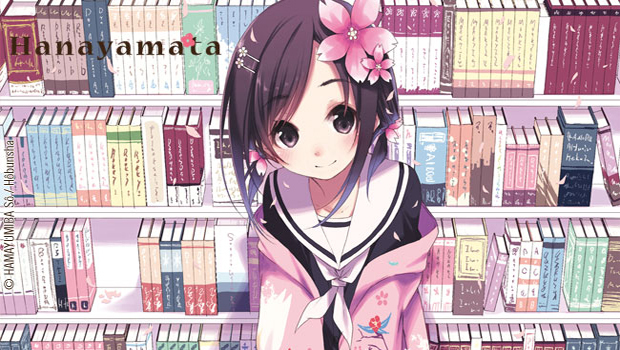 Hanayamata****has been published in the ***Manga Time Kirara forward***since 2011 and Houbunsha will publish the fourth volume on January 10th. The story is about 14 year old Naru Sekiya, an ordinary looking girl with ordinary brains and ordinary abilities in arts and athletics. She really leads an ordinary day to day life. One day she embarks on a path to an unordinary world, the world of “Yosakoi”. Guided by an exotic fairylike girl she met on a moonlit evening, she engulfs herself into this typical Japanese style of dancing.